How FBF print management cuts your print costs? Even if you require just a small amount of print, FBF can buy the print for you, using our experience and contacts to supply you with both high quality, and cheaper printing. FBF specialise in print purchasing. We buy from a wide network of trade-only printers who have much lower costs because they don't employ sales reps and have to pay commission, salary or other benefits. FBF will always search for the most cost effective way to produce our clients' work. If you are a small business you can really benefit from having a professional print buyer working on your behalf. FBF offer the same tailor-made print and graphic design service for both large and small companies. You won't have to waste valuable time looking for a reliable and competitively priced printer, or designer, or delegating extra work load to a member of your staff. FBF will make sure your print and design jobs are delivered on time and to the quality and price you expect. Meanwhile, you are free to focus on your company's core activities, knowing your branding will be carefully maintained across all your printed and promotional material. 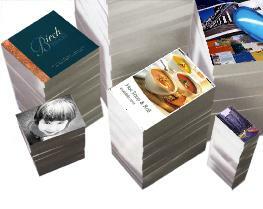 And if you just need some graphic design, artwork or adverts prepared, FBF print management can do that for you too! Call us today on 01293 432175 and speak to someone in person. FBF offer printing and design services based in Horley, Surrey, close to Gatwick in Sussex. FBF Print & Design Management is based in Horley, Surrey close to London Gatwick in East Sussex. Looking for printers in Surrey, or Sussex or the South East? FBF offer managed printing services for clients throughout the UK and Ireland.